As we have mentioned in our previous post we have some very exciting news for you, about significant improvements to our service. As one of the few VPN providers, HideIPVPN (soon) will give a chance to enjoy unlocked sites like Netflix, Hulu, iPlayer, Pandora, etc. Not only on devices with VPN support but also on the ones without. The new service should work on all devices that allow you to manually change the address of the DNS server that is used. In some cases, like Windows Phones (currently without VPN and DNS support) you will still be able to enjoy Netflix shows on Lumia (or other WP8 device) outside of the US. Our Smart DNS service should be up and running within two weeks. In coming days we will be bringing you short posts about what is there to expect, how this feature differs from out VPN services, how to use DNS to unlock sites in US and UK and what devices can use our Smart DNS service in order to access geoblocked sites. For starters, lets start with DNS (Domain Name System) itself. DNS is simply a server and service that do 2 things. First it translates all domain names (names of web sites, eg. www.google.com) into numbers (an I.P. address). Every single web site address that you write in your browser, google.com, netflix.com, hulu.com, etc. is actually a number – an IP address just like your IP that we can hide for you. Now, how many names of websites do you remember? A lot, yes? This is because it is much easier for us humans to remember a name rather than long number. But computers and servers prefers numbers. A DNS server (or system) “knows” which name corresponds to which IP address. Secondly, thanks to the DNS system, information you send or request can be found. When you enter www.hideipvpn.com, the DNS server knows what number should be enterd and where the site that corresponds with this address is. A second later our site is on your screen. 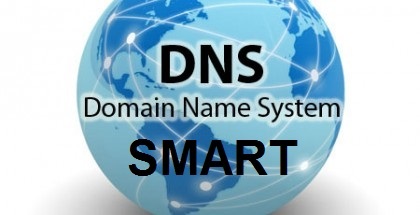 Now we come to subject of Smart DNS. 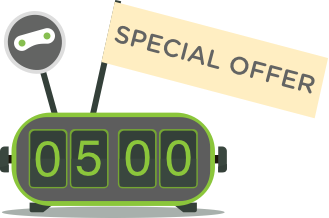 You will exchange DNS servers from your ISP with the one we will give you (one more reason why it is worth to have a Premium VPN account with us). Once you do, every time you will enter and address of the site that is geo-blocked (like hulu.com), our DNS server will “know” that such traffic should not go to Hulu, but instead should be re-routed via our network in order to fake your IP. All other data however will go to the internet (under your own IP) as in the past. Why is it important? Smart DNS will not hide your IP as VPN does nor will it encrypt your data. But it should be much faster (good for video streaming) and your “local” traffic is not affected by it in any way..
More information about DNS, Smart DNS, devices, setup of DNS, differences between DNS and VPN will be publish on our blog in upcoming posts.